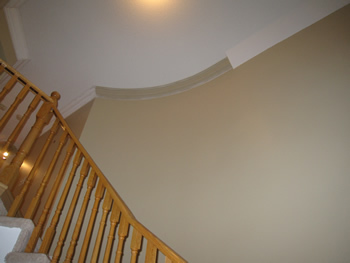 Often the problem of completing a home’s molding work lies with the structural placement of curved walls among others. Our company grants customers several cost-effective solutions in the hopes of insuring the attainment of a fully realized crown molding and trim. 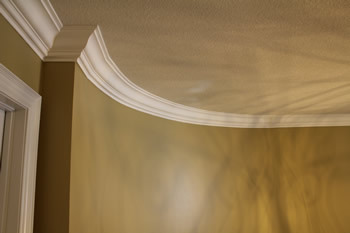 At Trim Works we offer you a Canadian based selection of flexible crown molding in the Toronto area. As an expert installer we aim to address the means of adding molding to curved or rounded wall structures so that they can work in compliance with the style or trim profile of the remainder of the room. 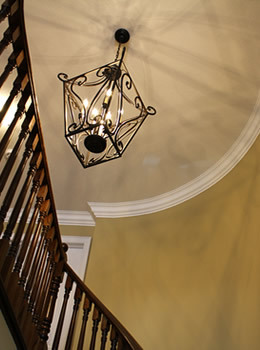 We encourage our customers that along with flexible curved wall molding our services extend to any trimming or bordering needs. We can also provide you with flexible baseboards, arch work and curved wainscoting. Rubber Crown Molding offers you an effective way to achieve an affordable solution to curved trim and molding. Attractive, practical installing with precision. Flexible Crown Molding will grant you with a means of achieving continuity throughout your household and encourages the complete adoption of molding. Providing the subtle incorporation of curvature into your walls and ceilings. Curved Crown Molding installation allows the introduction of a crown mold and is built with specific accuracy in order to achieve a perfect fit. 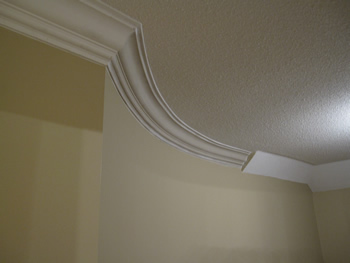 We also provide Shaped Crown molding along with round cornering techniques. Our customers can also enjoy open ceiling, staircase and high wall curve work. It naturally makes sense to us that to achieve a complete and consistent finish to a room that we will also offer the fitting of flexible baseboards in order to complement the molding and trim fully. Along with flexible wainscoting and wall work, arches of any design or parameter can be catered for.